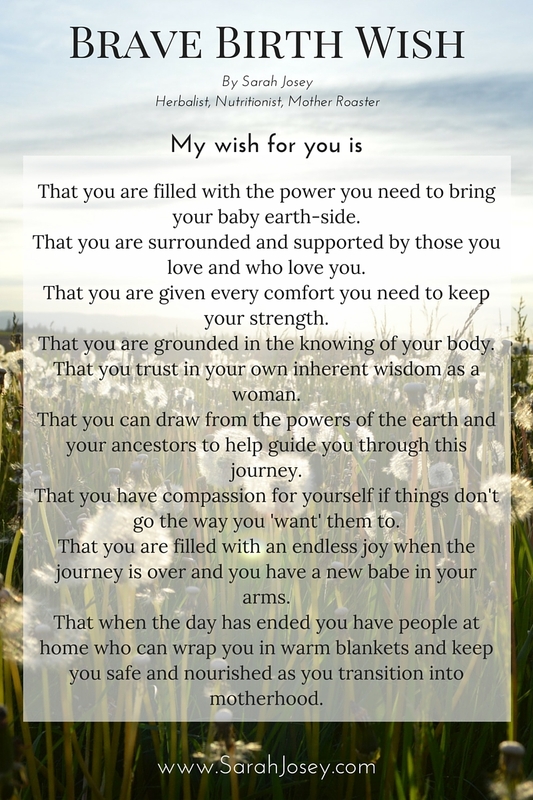 That you are filled with the power you need to bring your baby earth-side. That you are surrounded and supported by those you love and who love you. That you are given every comfort you need to keep your strength. That you are grounded in the knowing of your body. That you trust in your own inherent wisdom as a woman. That you can draw from the powers of the earth and your ancestors to help guide you through this journey. That you have compassion for yourself if things don’t go the way you ‘want’ them to. That you are filled with an endless joy when the journey is over and you have a new babe in your arms. That when the day has ended you have people at home who can wrap you in warm blankets and keep you safe and nourished as you transition into motherhood.